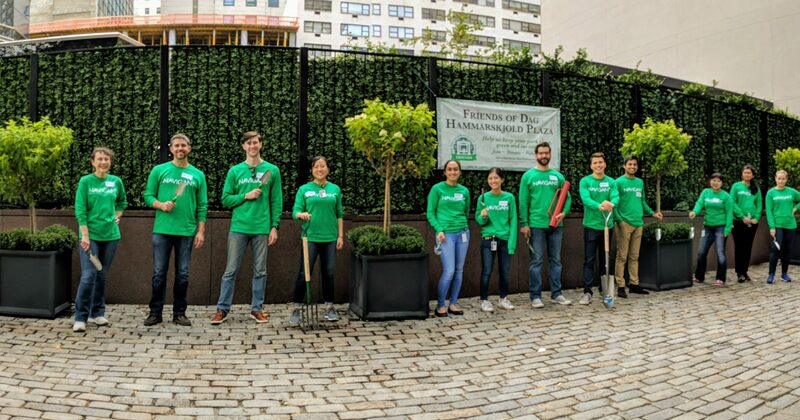 Volunteers from corporate neighbors Navigant Inc. installed six Campania estate planters with tree hydrangeas and mums in early October, creating an elegant entrance to the Katharine Hepburn Garden. The purchase of containers, plants and supplies was made possible by funding support from the Greenacre Foundation. Hydrangea Paniculata “Limelight” is an autumn joy, blooming from late summer until frost with big panicles of lime green that turn to pink and russet tones with the cold. 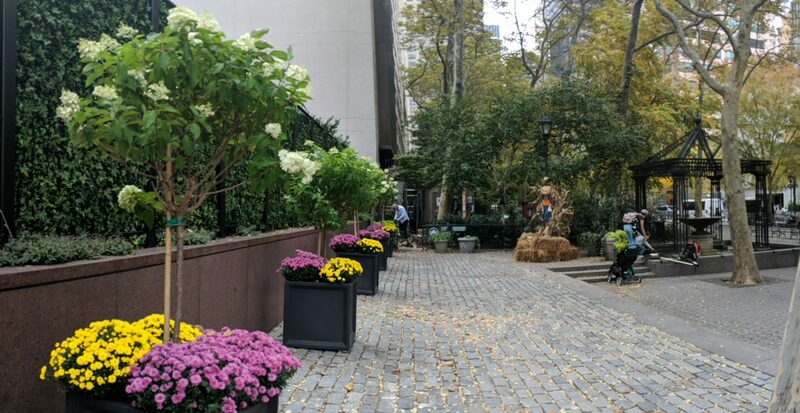 The 15-20 foot shrub can be pruned to tree form, as seen here underplanted with yellow and pink mums.